block of stone bonded into a wall, supporting the end of a beam or a statue. It can be inside or outside the church. Spain is made up of 19 autonomous communities, like states. 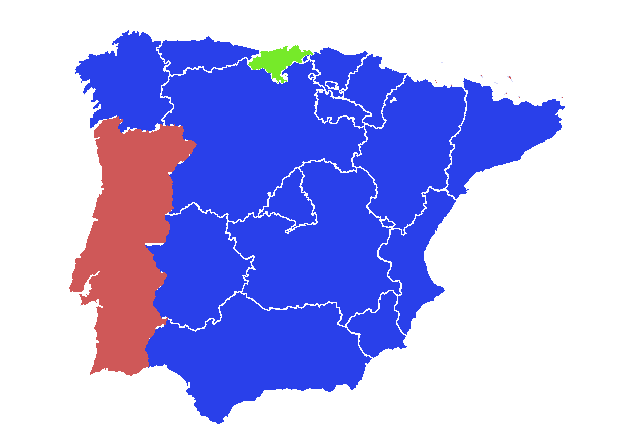 One of these is Cantabria, which is located in the North of Spain – indicated in green on the blue map of Spain. 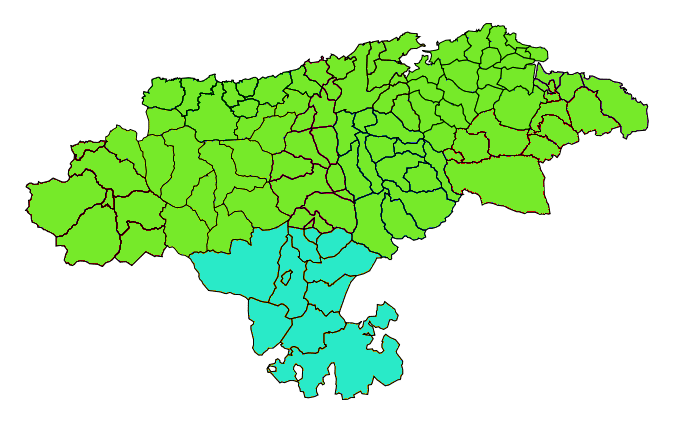 Campoo is one of 10 comaras (regions) of Cantabria and is indicated in aqua on the enlarged green map of Cantabria. The Romanization of Campoo took 200 years, one of the longest struggles for ancient Rome. (Way/Trail/Road of St. James) – the road and route used by pilgrims to make their way to Santiago de Compostela in Northwestern Spain. Tradition has it that the remains of St. James are buried there. This was one of three important pilgrimages in Medieval times, the other two being to Jerusalem and to Rome. The pilgrimage to Jerusalem was too dangerous and too expensive for most pilgrims. The Way of St. James has been named a UNESCO World Heritage Site and is popular for modern pilgrims as well, and is growing in popularity. In 1985 less than a thousand pilgrims walked the trail, which grew to almost 20,000 in 1995. In 2015 there were 262,000 pilgrims. This compares with 2500 pilgrims who walked the Via Francigena to Rome in 2012.
were the first holidays enjoyed by Medieval people. The point was to bring the pilgrim closer to God, the ultimate spiritual act. It resulted in more chance of going to heaven. But the pilgrimages were also locations for the carnal and over indulgence, as noted by Paz in her article. I observed this first hand when I made the pilgrimage twice to Rocio in Andalucia, with two different brotherhoods in Southern Spain. There was much singing, dancing, and imbibing in Manzanilla (and maybe other passions of the flesh, although I wouldn’t know about that), both along the route and once in Rocio.